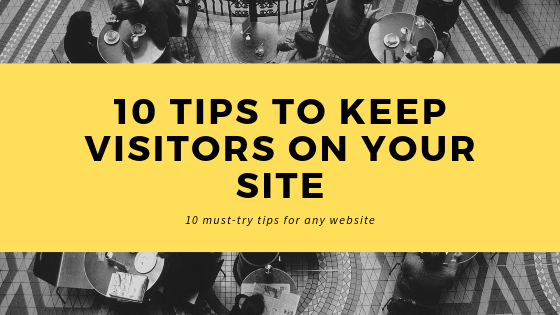 There are a number of ways to get visitors to your website but what can you do to keep them there? Below we are going to discuss 10 things you can implement to make your visitors come back to your site. The number of visitors who land on a site and quickly move on is called the bounce rate. Most websites that have a high bounce rate are not currently using these techniques or have no clue as to what their market really wants and needs. Visitors don’t want loads of hype, they want to learn and increase their knowledge of your product or industry so they can make an informed decision. Provide informational content about your product or services. Teach your visitors and this will help them create a good opinion about your site. Navigation links should be large and clearly labeled. 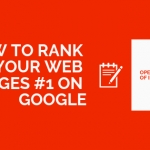 While you may think themed titles are cute, your visitors may become confused and end up leaving your website. If in doubt, always go with the more common title. Try to update times, dates, and news articles as much as possible. If you’re running an information based site than it is important to consistently add fresh and unique content. Blogs can be added to your site with a few clicks if your web host includes the option within your hosting package. Blogs are an easy way to add new content. It’s a great way to add user-generated content and it’s a amazing way to build a dedicated group of visitors who visit your blog everyday. Since blogs create interaction with your visitors it also builds trust and creates the feel that there is actually someone on the other side of the website. Blogs that offer quality content always carry a loyal group of followers and often create a nice income. Most site owners describe the product’s features, example, Rubber coated speaker, 2-ohm total impedance, etc., Your visitors don’t purchase features, they purchase the benefits that the product or service will provide for them. Is your product a time saver? Is it easier to use than most competing products? Make sure you describe how the product will make the visitors life more productive, more fun, easier, or better. People like to visualize things. Ever wonder where day dreaming came from? Websites with relevant images help stimulate the visitors emotions and emotions drive sales. Remember a picture is worth 1,000 words. More than one-half of all buyers won’t buy online because they’re afraid of getting scammed. Proudly display signs of trust like BBB Online and Verisign logos. Make sure your visitors know your site is secure or most will not feel comfortable making the purchase. Your visitors will stick around to read your message especially when you back it up with references and third party awards. Provide your visitor with a way of leaving feedback for you and other readers. Testimonials are a powerful tool because they give your product credibility from a third party. Testimonials can be a trust builder, especially if you provide a reference (phone number, email address, ect.) for them to contact the user that gave the testimonial. Most of the time your visitors will not contact the person that gave the testimonial but it helps build trust and provides a more authentic feel. Not every site will be a home run the first time it steps to the plate. Use tools like Google Analytics to determine what makes your visitors stick around and what makes them “bounce”. You then proceed to build on the good and drop the bad. Tweaking your website will improve the performance of your sales funnel and link popularity over time. The difference between a site that generates 100% ROI (return-on-investment) and 500% ROI is usually a matter of split testing and tweaking. 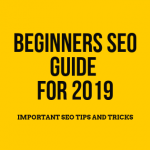 Successful sites keep their visitors interested with easy-to-find information that fulfills the visitors wants and needs.